للمسافرين الذين يرغبون أن يعيشوا كل ما تقدمه المدينة، The Balinese Motel هو الخيار الأمثل. لا يبعد الفندق كثيراً عن مركز المدينة، فهو يقع على بعد 5.0 km منها. في حين يستغرق الطريق منها إلى المطار حوالي 15 دقيقة. إن سهولة الوصول من الفندق إلى المعالم السياحية الشهيرة الكثيرة في المدينة هو استثنائي بحد ذاته. تنعكس أجواء The Balinese Motel في غرف الضيوف.تلفزيون بشاشة مسطحة, اتصال لاسلكي بالإنترنت, مكيف هواء, مكتب, ساعة منبه هي بعض الميزات الموجود في العديد من الغرف. يقدم الفندق خدمات رائعة كمثل مسار جولف - ضمن 3 كم, حمام سباحة خارجي, حديقة لمساعدتك على الاسترخاء بعد نهار طويل من النشاط والتجوال في المدينة. مهما كانت دواعي سفرك فإن The Balinese Motel هو خيار ممتاز لإقامتك في المدينة. يتم تقديم الفطور من 06:30 AM إلى 10:00 AM. Our first stay but have booked a return. 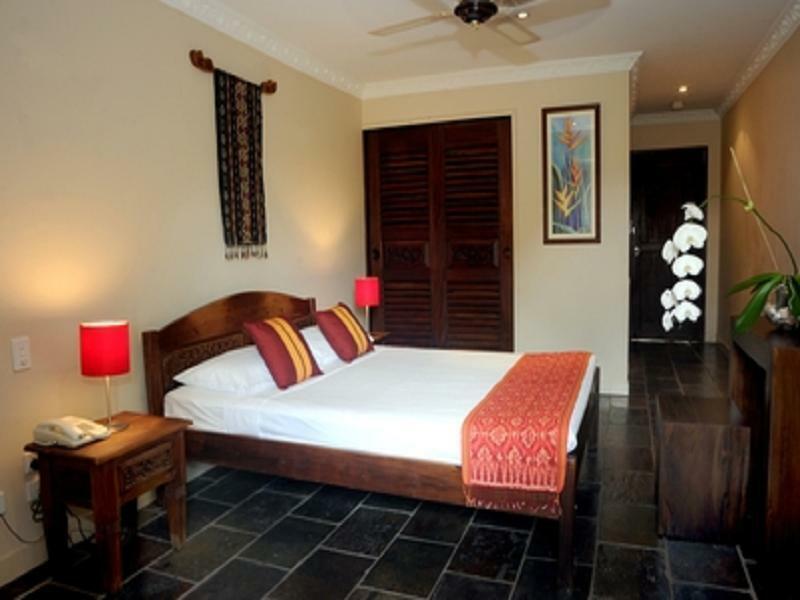 Good, clean rooms with Balinese furniture....just beautiful. Free breakfast was way beyond what we expected. The shared kitchen is a great extra. Friendly staff. Could not ask for more. Enjoyable stay at the Balinese, its a budget motel with a comfortable bed and clean and spacious room. The motel is within an easy 10 minute walk of Cairns centre, including the lagoon and restaurants. I would certainly recommend this as a excellent option for those on a budget, has everything you need. Very smooth check-in, nice and clean room and bathroom. 15-20 walk from Cairns center. Simple self-help breakfast. Kitchen available for guests. Low points: - room service finishes around 10am: if you're still in your room by that time, it won't be cleaned that day - The person at the reception is cold. Made me feel like a kid in front of a strict teacher. It is more than we expected. The room is very clean and tidy. It also has a free light breakfast every morning from 6:00am to 11:00am. It also has free shuttle from airport. The staffs are great and helpful, too. Booked a room for my son-in-law for a night stop while in Cairns. He seemed very happy with the room. Only incident that arose was the confusion at the front desk with the paper work. This came about because I had booked it in my name and not his name and my credit card showed a different name again due to me remarrying and not changing my credit card. All good otherwise. For about AUD90, I've got a spacious room with a king bed and a single bed, which is affordable and ideal for a family. The swimming pool looks more like a small pond. It is about a 20 minute walk to the city centre. Hence, travellers who want to be close to amenities might have to reconsider. Clean. Photos are accurate. Staff a friendly and helpful. Was just looking for a base to operate out of while attending to some business in Cairns. 15 minute walk to the City Centre. Officeworks and restaurants close by. Taxis turned up very quickly so be ready. Photos of the motel are very accurate. Staff very helpful. Rooms very clean. Beds comfortable. The Balinese has comfortable, clean rooms. The staff were helpful and cheerful and assisted as required. Breakfast was help / prepare yourself, basic (not bacon and eggs) but more than adequate. I was very happy with the hotel in general and would stay here again. I do think that wifi should be available in rooms as part of the package at a hotel of this level, but this is the only weak point and there is wifi available by the pool. We felt the bathroom could have been cleaned a bit more thoroughly, and were disappointed that there was no seating in the room, However, our stay at this motel was comfortable and peaceful and the staff were very freindly and helpful. We were pleased that we stayed at the Balinese and enjoyed our time in Cairns. Ongoing noise due to renovations during the entire day made it impossible to stay in the room during the day. My concern was more or less ignored by the staff. Checkin-in was almost not possible due to reception being deserted and agreed check-in procedure not being adhered to by the hotel (no answer when calling the provided number). Otherwise it could have been a relaxed stay. Price OK for City location, small rooms, has limited self catering facilites in a common area near pool, pool small Ok for small chidren; no Pay TV nor DVD player which is common for hotels in Far North Qld. The hotel is very normal. It has a somewhat polynesian design in the decoration. Rooms are clean and nice. Location is not that great. It is a 15-20min walk from the esplanade (where all the tours, restaurants and bars are). I'm sure you can get something equally good, for a similar price, but closer to the esplanade. The hotel is related to another bigger fancier hotel just half a block away. That hotel has a great restaurant for which you get free drinks with your meal (just once). We stayed there for 2days. Reception staff is quite helpful . They initially provide us map, make a orientation for all facilities and help to reserve a taxi to airport. I like the part of public kitchen which we used several times. Although here is no wifi but we can use public pc for a while freely. The location is not bad . 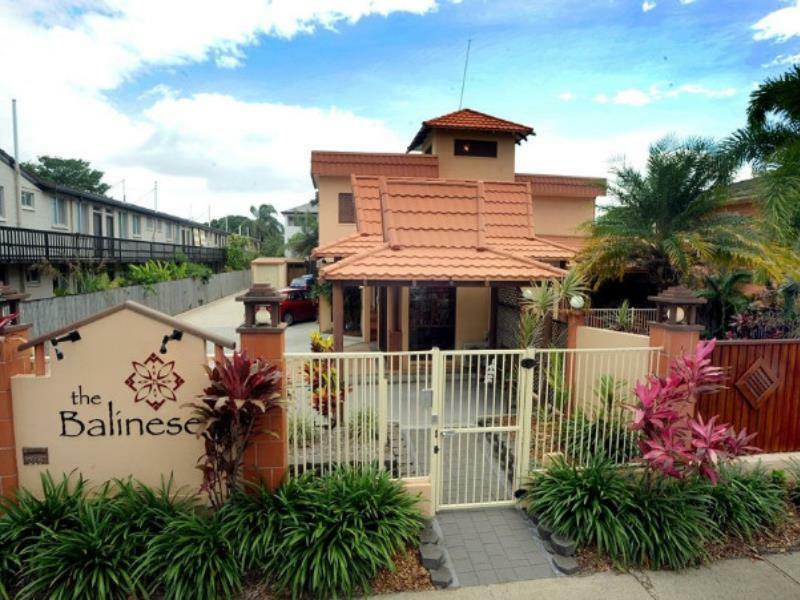 There is convenient shop opposite to motel and esplanade is within walking distance . But a little bit far from city center. About 15-20 mins walking. The room looks clean and new, although you can smell wood. Would stay there again, it was a short overnight so we didnt get to utelise all the facilities. It was close to Town, we had a secure car park, we felt the whole place was secure. It was clean, neat and generally nice. Would recommend and return. The value for the price was great. The hotel room is spacious and clean. It offers free continental breakfast (cereal, bread, and beverage). The kitchen is always clean. The pool is very small yet clean and nice to look at while eating breakfast. When we are tired walking back from CBD, we took a local bus, which stops very near the hotel. Clean, spacious room, comfortable bed, very good bathroom. having stayed in many hotels throughout the world and motels throughout australia, i was pleasantly surprised when i walked into the room. it was clean and spacious and had both airconditioning and a ceiling fan, very suitable for cairns. the bathrrom was well appointed and its features were very accessible - which is important for someone my age. self serve continental breakfast was fuss free and quite adequate. Management did not advise about bus service nor where main shops and aged part of city that normally interest visitors. Did not know that major hospital on opposite of the road. SAL MADE US VERY WELCOME AND WE ENJOYED OUR STAY THERE, THANK YOU.